A rumor that has been rolling around for a while, make of it what you will, It goes like this: Porsche will top off the 997 production run with a limited production, carbon fiber paneled 4.0 liter GT3 perhaps designated as 997 GT3 RSR. 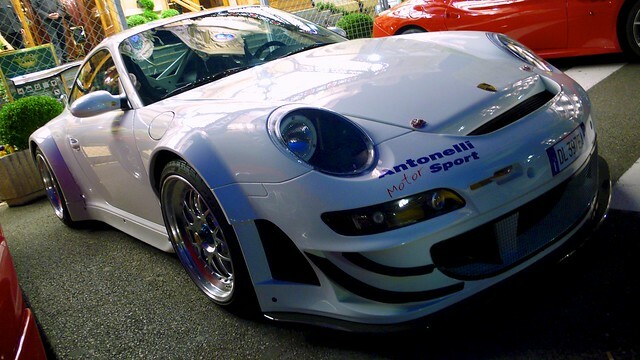 This ultimate 500 hp 997 GT3 would be sold alongside the next generation 991 but limited to 500 copies and priced in GT2 territory. We know nothing more at the moment but will add that Porsche does have a penchant for special editions. Producing this special model would probably cost Porsche little and produce what is sure to be one of the most sought after special models ever. That's glorious beyond glorious. They should definitely do it. Not like i could afford one, but simply know that there is a RSR GT3 driving around on the road will satisfy me. Are the plans to actually make it appear like the RSR? Well their goes every 'road legal, car with a roof' track record. Looks like it's getting picked up, Even Autoblog carried it. I already know that this will be my favourite road car of all time - move aside 964 RS!